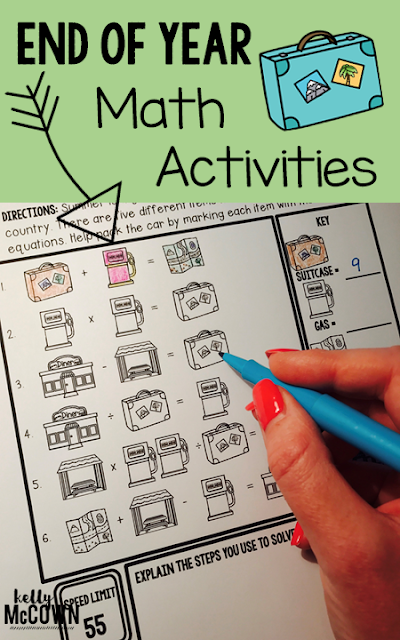 Do you need some engaging NO PREP Math activities? 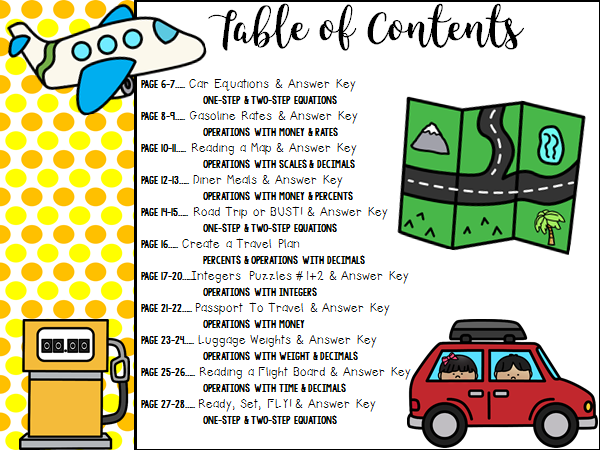 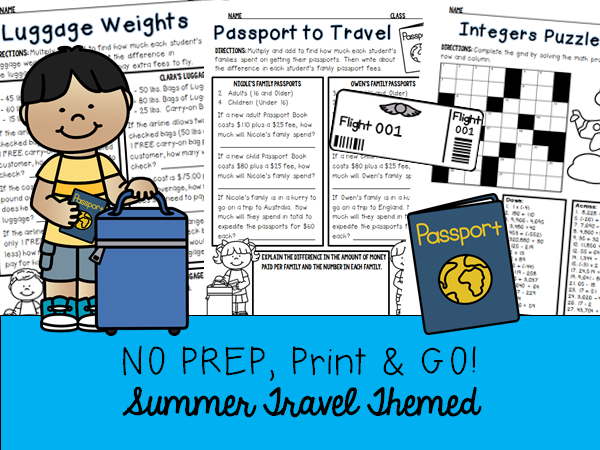 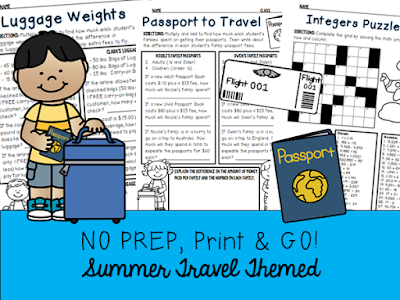 I've complied a packet of Summer Travel Themed Middle School Math Activities that are great for reviewing key concepts such as Operations with 1-Step & 2-Step Equations, Scales, Rates, Weight, Operations with Money, Operations with Percents and Decimals, Solving 1-Step & 2-Step Equations, and Operations with Integers. 12 Different Engaging Activities Included! 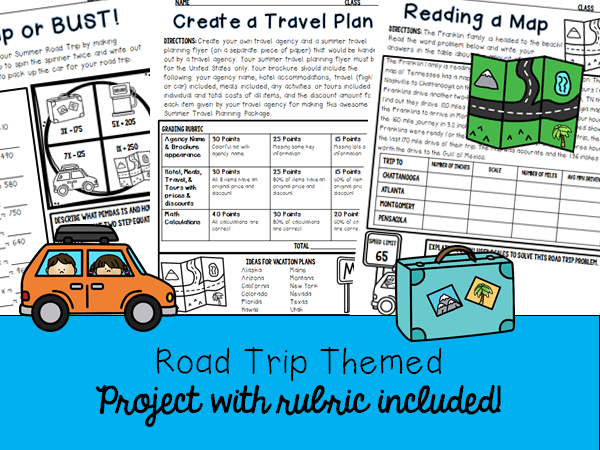 All Activities have a Road Trip or Air Travel Theme! 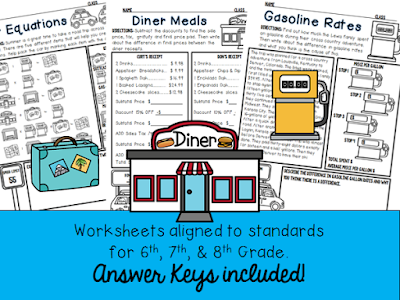 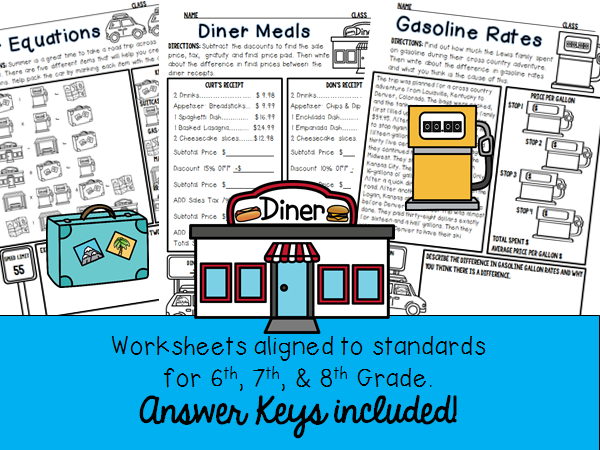 Reading Maps, Gasoline Rates, and much more! I hope these activities are great for your students at the end of the year too. 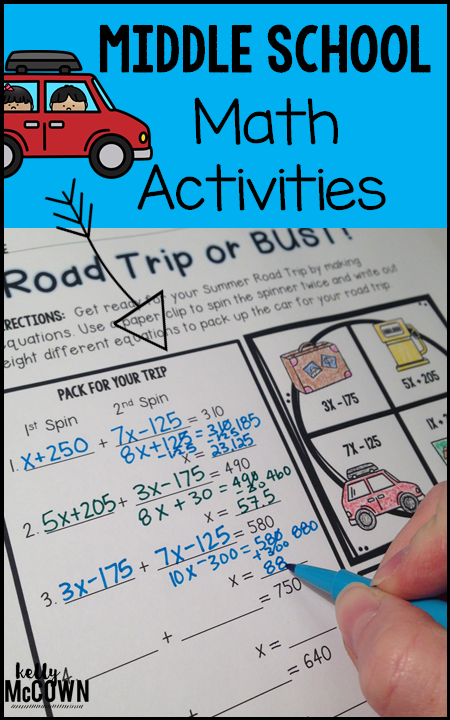 If you keep them engaged and learning new applications of Math it will be a winning recipe for success for a great End of the School Year!